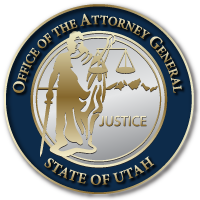 SALT LAKE CITY June 20, 2016 – Today the Utah Attorney General’s Office won a case at Supreme Court of the United States on an important Fourth Amendment search-and-seizure issue. In a 5-3 opinion written by Justice Clarence Thomas, the high court sided with Utah, saying that evidence seized by an officer while searching a suspect incident to arrest on a valid arrest warrant—even if the arresting officer discovered the warrant in a stop later found to be unlawful—is admissible in court as long as the stop is not the result of flagrant police misconduct. The Supreme Court heard argument in Strieff on February 22, 2016 — the first day of argument after the death of Justice Antonin Scalia. The case will now return to the Utah courts for further proceedings consistent with the U.S. Supreme Court’s opinion.